I LOVE this hat! Made by Under The Nile of the softest organic cotton, this sherpa has all the warmth of the fuzzy polyester hats. 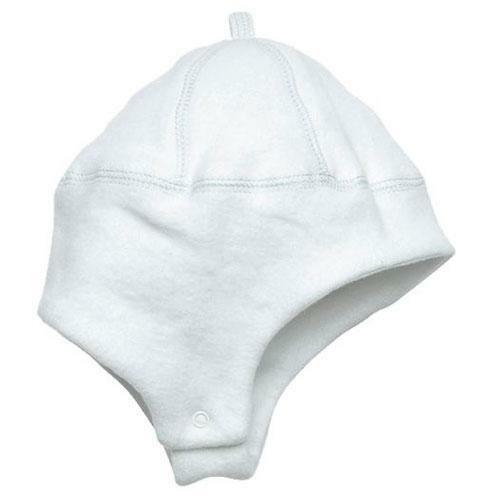 A must have essential for this cold season, our fitted Sherpa ear flap hat protects and keeps your baby's head and ears warm. Snaps on the bottom flaps secure the hat on comfortably. Lined in flannel. Made of 100% GOTS certified organic Egyptian cotton. Comes in natural sizes NB-3 months, 3-12 months or 12 -24 months.